Easter Joy is a bright and cheerful tear drop vase arrangement. This beauty will sit happily in the middle of your Easter table or on a sideboard to brighten a room. 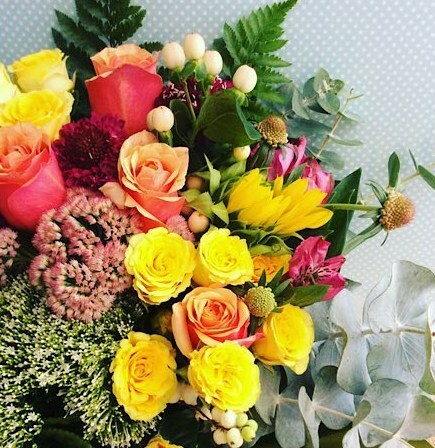 This arrangement is filled with blooms in yellow, orange and pinks tones combined with some lovely foliage to give it some movement and shape. Send it to a friend this Easter!